Sinuous-crested wind-blown sand dunes in an extensive coastal dune field. 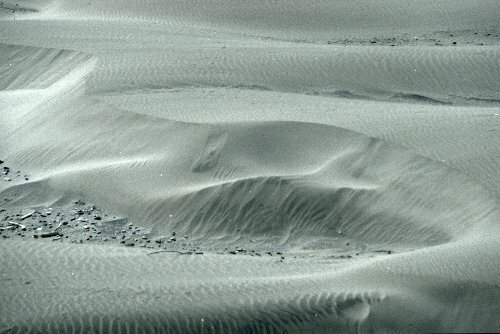 Which way are the dunes migrating? Is the sand at or below its maximum angle of rest? What is the evidence for this? image credit: Roger Suthren. Oregon Dunes NRA, USA.